Primulina (Chirita) Plants…Something New For You To Try! No, we didn’t say Chiquita (It’s not a banana!) 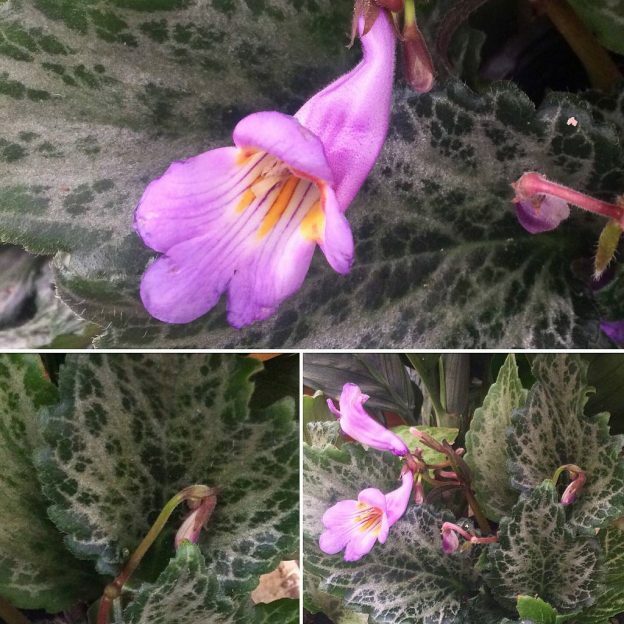 but chirita, as in chirita plant…these beauties are actually indoor plants closely related to the African violet in the gesneriad family. 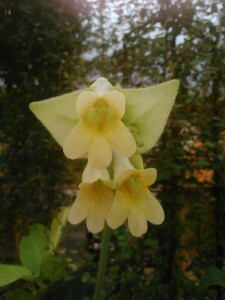 They’re relatively new on the plant scene, as many have only been released into cultivation within the last ten years. Though we are just now becoming familiar with them, Chirita (Also referred to as Primulina.) is actually a huge genera and has 150 species, ranging from their native Sri Lanka and India through the Himalayas and into China and Southeast Asia. The islands of Sumatra, Java and Borneo also claim them. It’s quite an exotic! Many of the species can be seen growing in their native habitats on rocky hillsides or cliffs, often on limestone. Grown here for their beautiful foliage and flowers, they’re becoming more readily available in our area as an addition to the indoor landscape. We have quite a few in stock now if you’d like to try one. 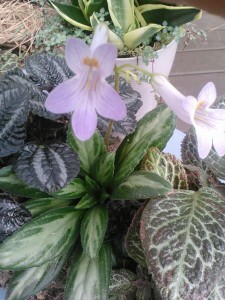 Their care is fairly simple and similar to African violets, which makes sense since they’re closely related. Let the soil lightly dry between watering and water with lukewarm water. It’s better to err on the side of dryness – they don’t like to be soggy (Remember those rocky hillsides they grow on naturally!). They will suffer if over fertilized but do need some food. So, every other watering, mix an even formula fertilizer (20-20-20 would be good) at 1/4 strength. Avoid direct sun on the foliage, especially during the hottest hours of the day. 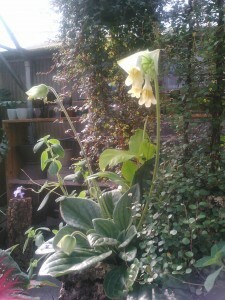 So, near East, West, or shaded South facing windows are ideal for the bright light they need to thrive and bloom. Like most houseplants, temperatures between 60-80 degrees are ideal. Repot when the plant has filled the pot completely. As with many plants, when you repot it’s best to move only one pot size up. Shallow pots are better than deep pots since they’ll be less likely to hold too much moisture. Always lightly moisten the new potting soil (We use Fafard soilless mix.). The foliage on these plants is so beautiful that, even when they’re not in bloom, the plant is still quite striking. We’ve combined them with pilea and also with episcia, another pretty foliage plant, to great effect. 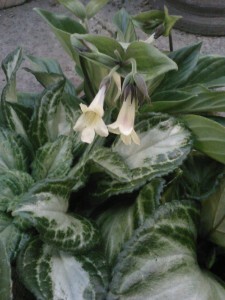 For all you adventuresome folks out there, these beautiful and easy care plants are definitely worth trying – and, since there are many in stock now, this is the perfect time to come in and have your pick of the greenhouse…because, really, who doesn’t need a little more of the exotic in their lives? This entry was posted in Indoor landscape, Indoor Plants and tagged blooming houseplants, chirita, episcia, pilea, primulina on July 29, 2013 by Kris Blevons.